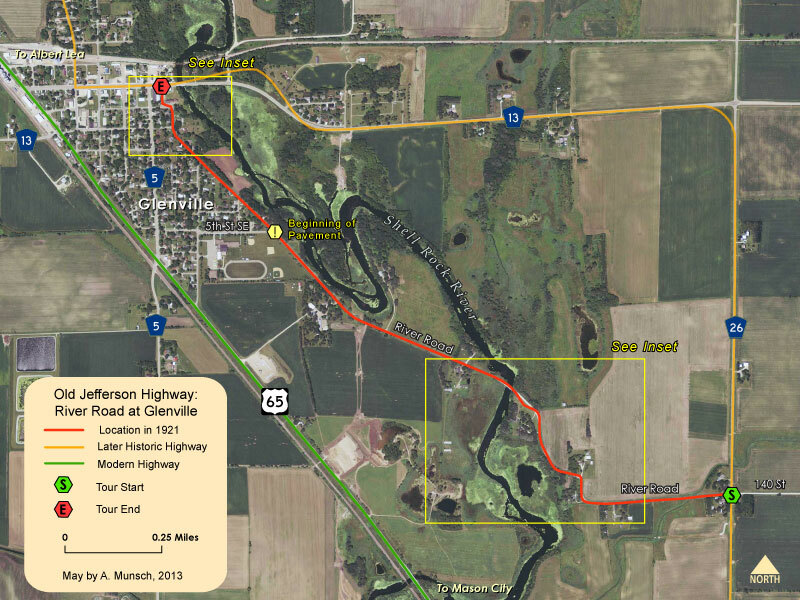 Jefferson Highway, as shown on the 1920 Rand McNally auto trails map. Presumed temporary route of Trunk Highway No. 1 as of May 13, 1921 by commissioner's order until bypassed. 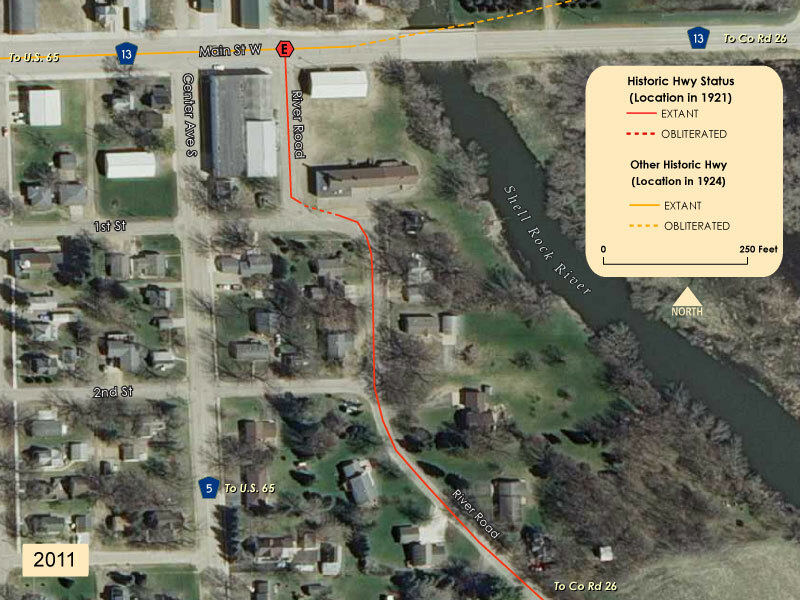 Historic Context: Part of early Jefferson Highway between Mason City and Albert Lea. Construction: No official record of construction. 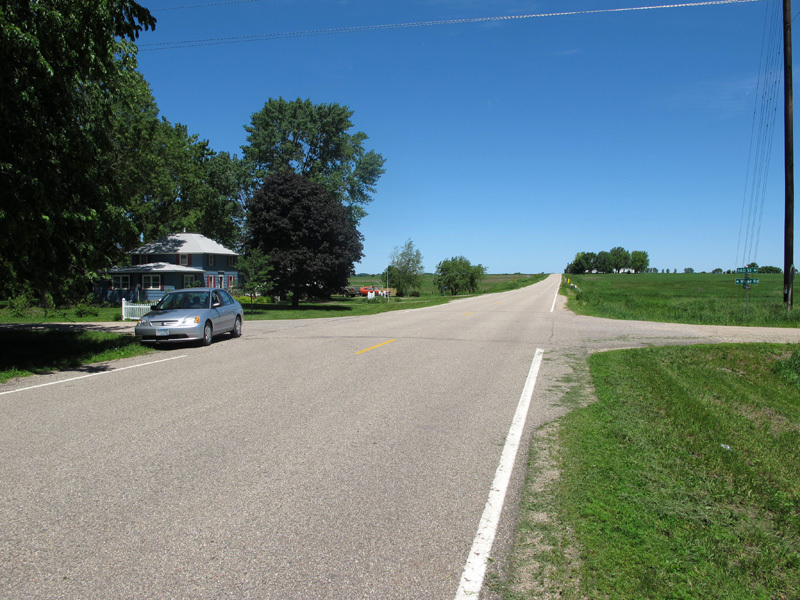 Maintained as part of Freeborn State Aid Road 4 before addition to the trunk highway system. Bypassed: Presumably in 1921 by grading of new State Aid Road 4 including new crossing of the Shell Rock River at Glenville (along current County Roads 26 and 13). Status: Mostly intact. 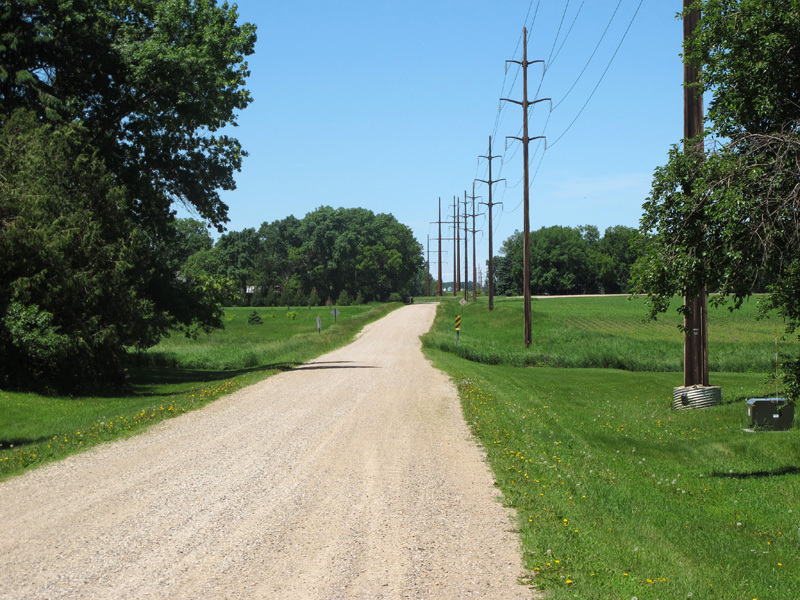 Road remains unpaved outside of Glenville (south of 5th St SE). Bridge over the Shell Rock River is not original, last replaced in 1978. Approaches to bridge realigned on same general right-of-way. Section in Glenville paved with asphalt but in still in same location with modifications to curves at 1st Street. 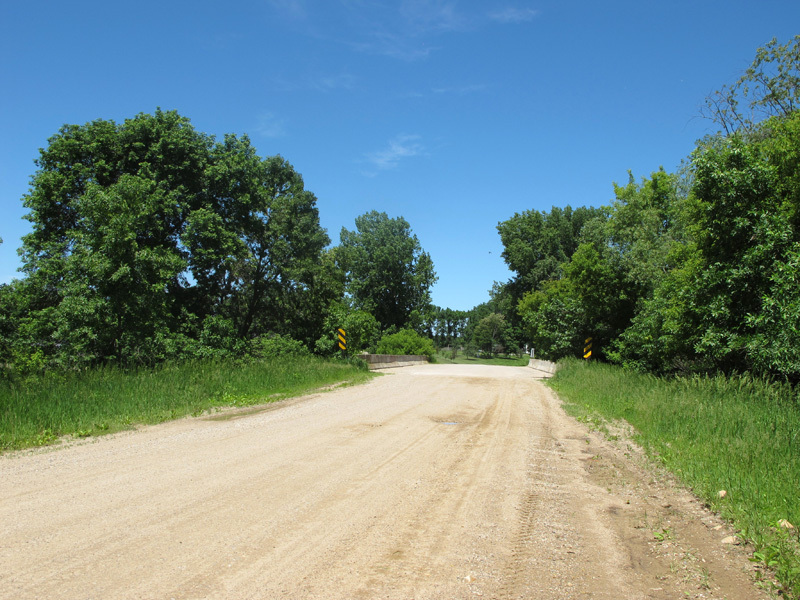 "River Road" along the Shell Rock River south of Glenville was once part of the historic Jefferson Highway in the early days of automobile travel. For less than a year in 1921 it may have also been part of the original temporary route of Trunk Highway No 1. 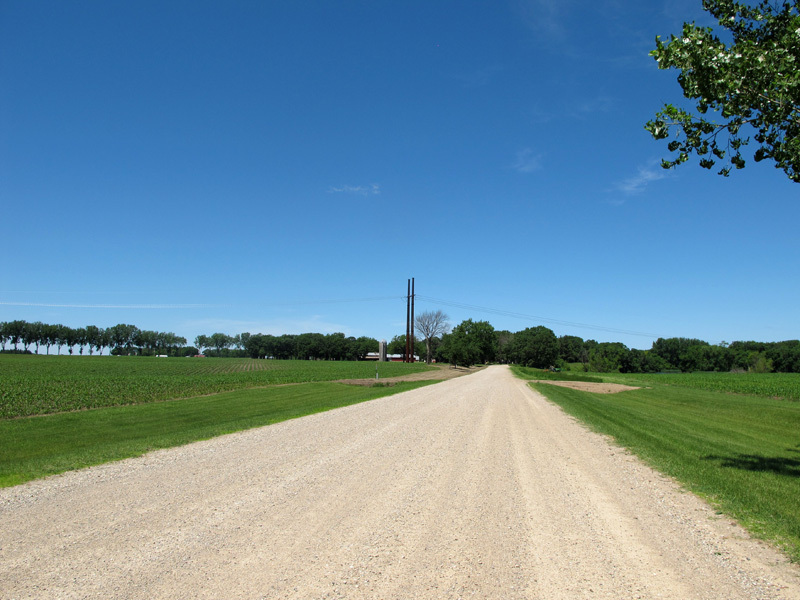 Although a shorter route, it was bypassed in 1921 upon the completion of a new bridge over the Shell Rock River on what is now County Road 13. 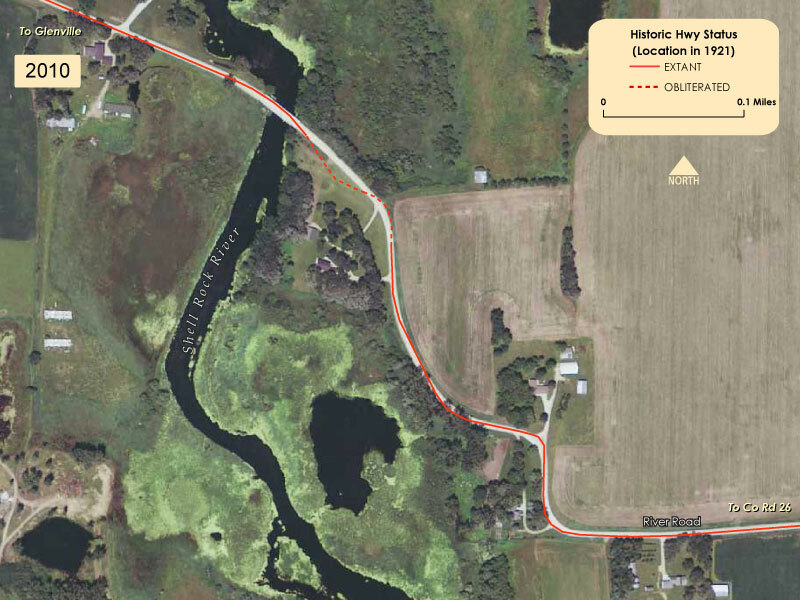 Although the new route via what are now County Roads 26 and 13 was a half-mile longer, it had fewer sharp curves and presumably a sounder bridge (information on the original bridge on "River Road" is missing"). 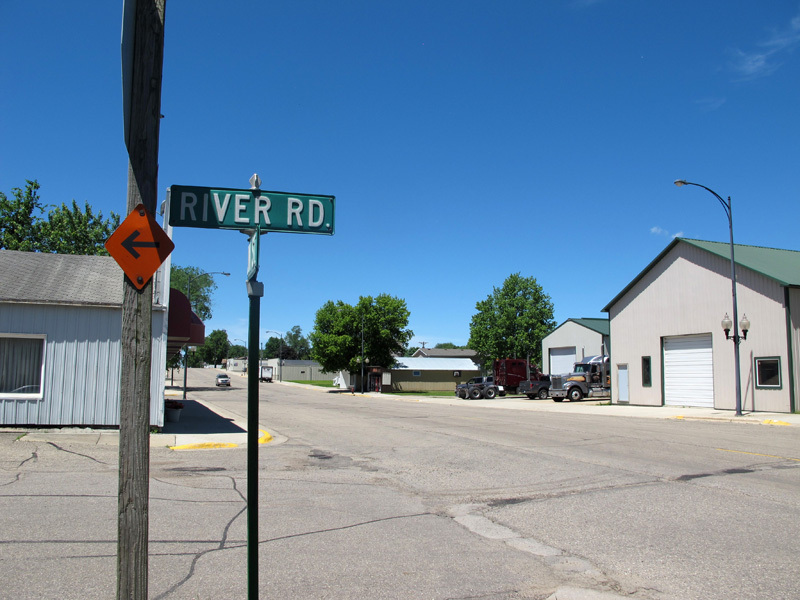 "River Road" is now a township road that runs generally northwest from County Road 26 to Main Street (County Road 13) in downtown Glenville, remaining in the same general location as the road was in 1921, albeit with some minor modifications. 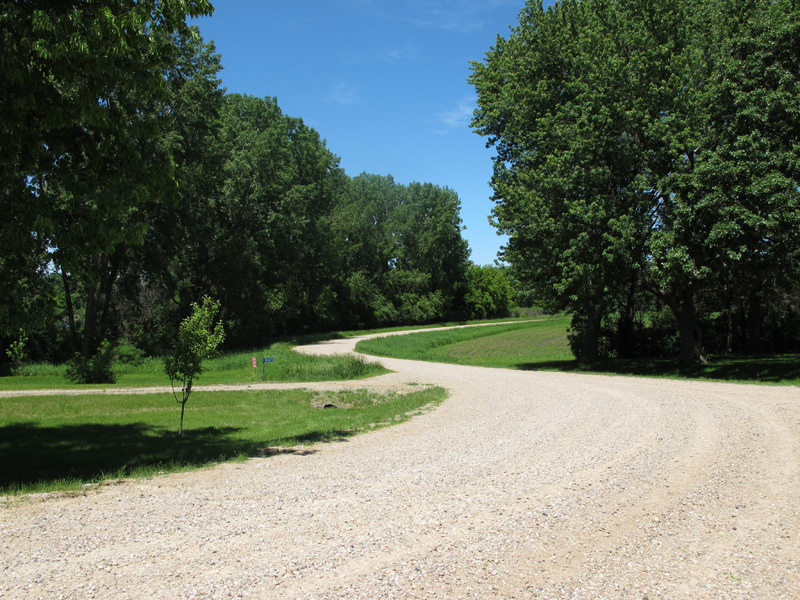 It remains unpaved until it reaches 5th Street on the south side of town. 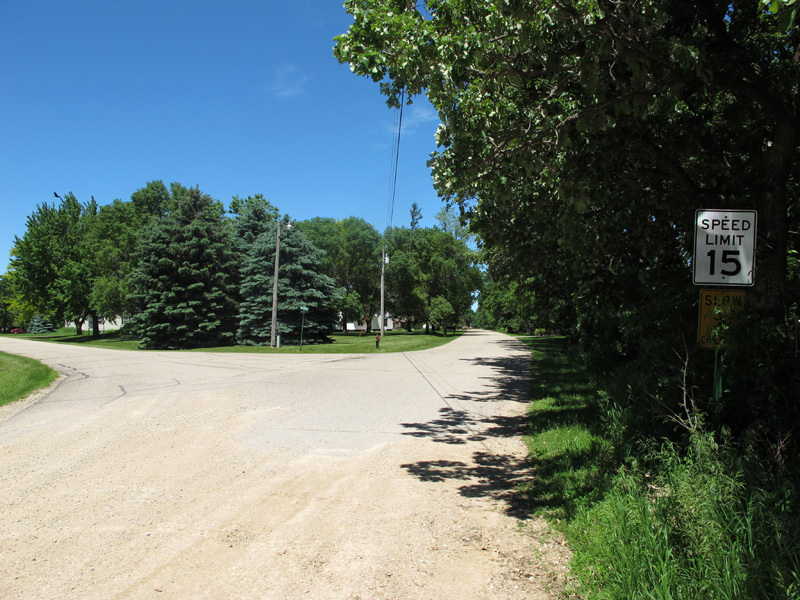 Looking north on County Road 26 (also old Jefferson Trail) at the intersection with 140th Street / River Road. 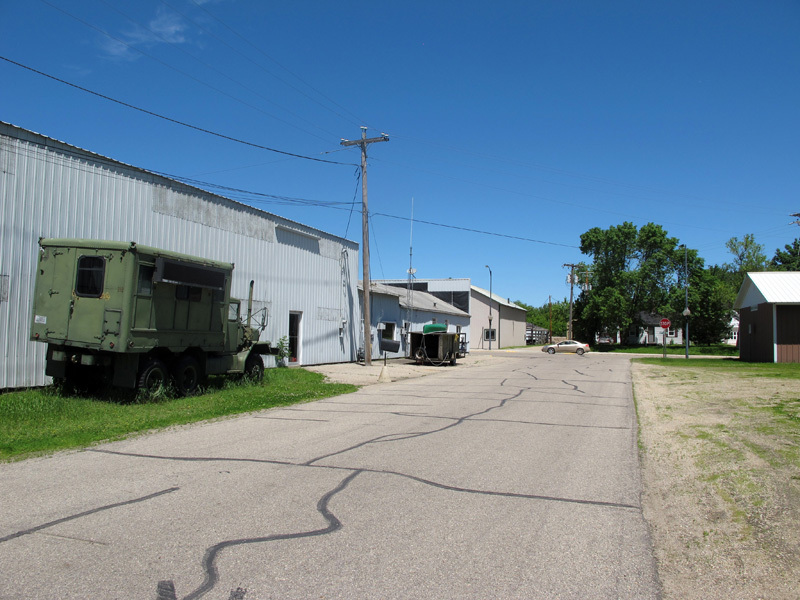 Before 1921, through traffic between Mason City and Albert Lea would have turned left here. The intersection is unremarkable and easy to miss. Looking directly west on "River Road" after turning off of County Road 26. The road is still unpaved. Before crossing the Shell Rock River, "River Road" makes a sharp series of curves as it descends into the shallow river valley. These curves have been rebuilt and made somewhat less severe since 1921 (mouse over the map above to see this location in 1938). The original bridge has long since been replaced by a bland modern concrete structure, completed in 1978. Curves on River Road, descending into the shallow Shell Rock River Valley. Approaching the current crossing of the Shell Rock River. 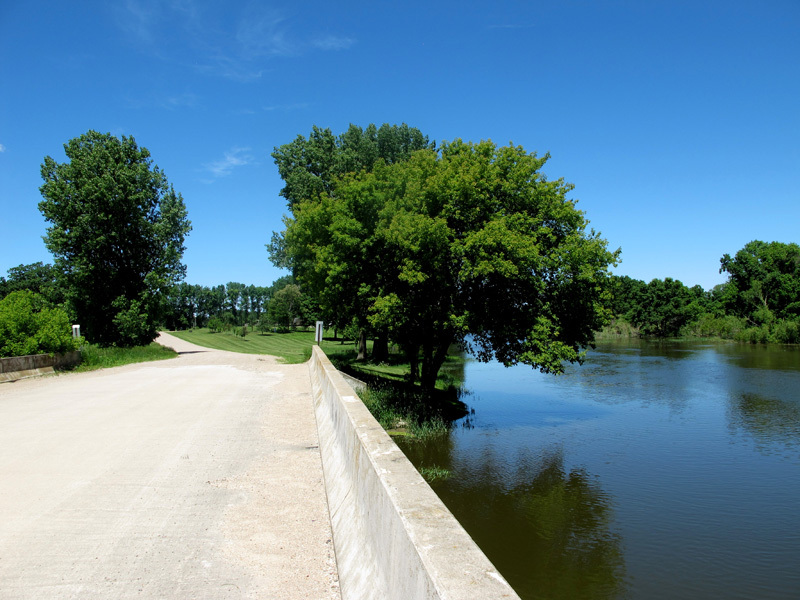 View of the Shell Rock River from the modern bridge (the water was quite high in 2013 due to significant rains). Looking northwest towards Glenville after crossing the Shell Rock River. Entering the city limits of Glenville. Intersection with 5th Street SE at Glenville, where the town pavement begins. At it's north end, River Road makes two right-angle turns at 1st Street before intersecting Main Street in downtown Glenville. 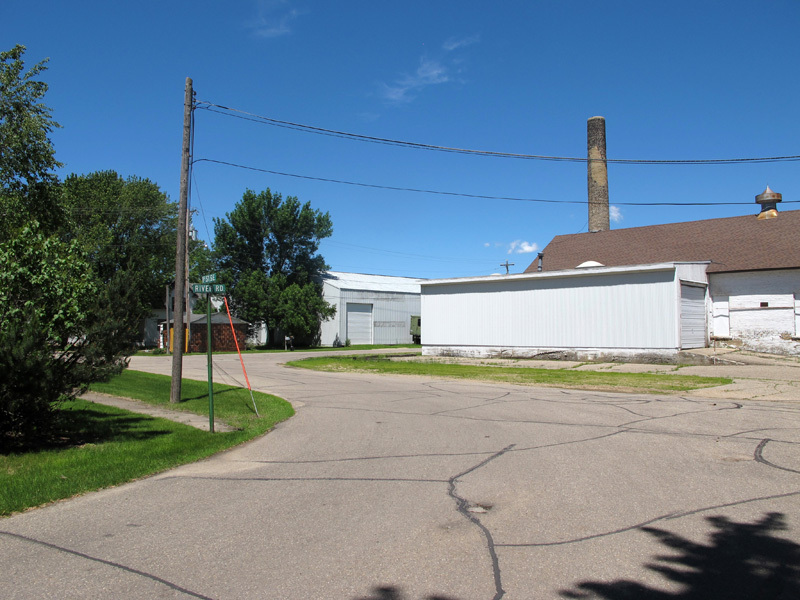 These curves were once a jog on a continuous unpaved road that has since been rebuilt along with modernizations to the adjacent city streets (mouse over the map above to see this location in 1938). Looking northwest on River Road at 1st Street in Glenville. The road originally cut the corner ahead. 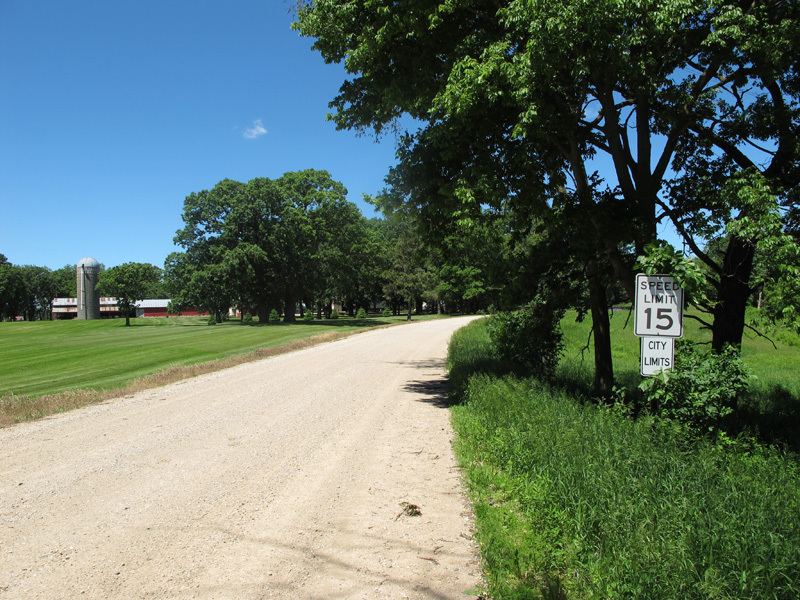 Looking north down the final block of "River Road" towards Main Street (County Road 13). Automobile Blue Book, 1921, Volume 10. 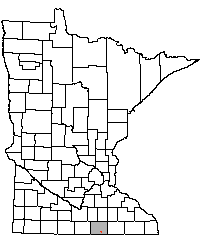 Minnesota Highway Department. Construction Project Log Record: Control Section 2404. Rand McNally. 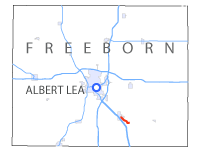 Official AutoTrails Map, District No. 9. 1920.